than there is in a gallon of Ale. 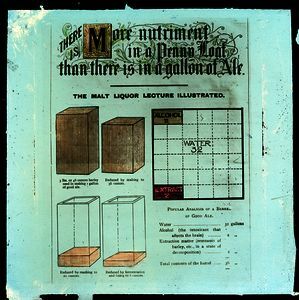 THE MALT LIQUOR LECTURE ILLUSTRATED. 3lbs. or 48 ounces barley used in making 1 gallon of good ale. Reduced by malting to 36 ounces. Reduced by fermentation and fining to 8 ounces. POPULAR ANALYSIS OF A BARREL OF GOOD ALE. 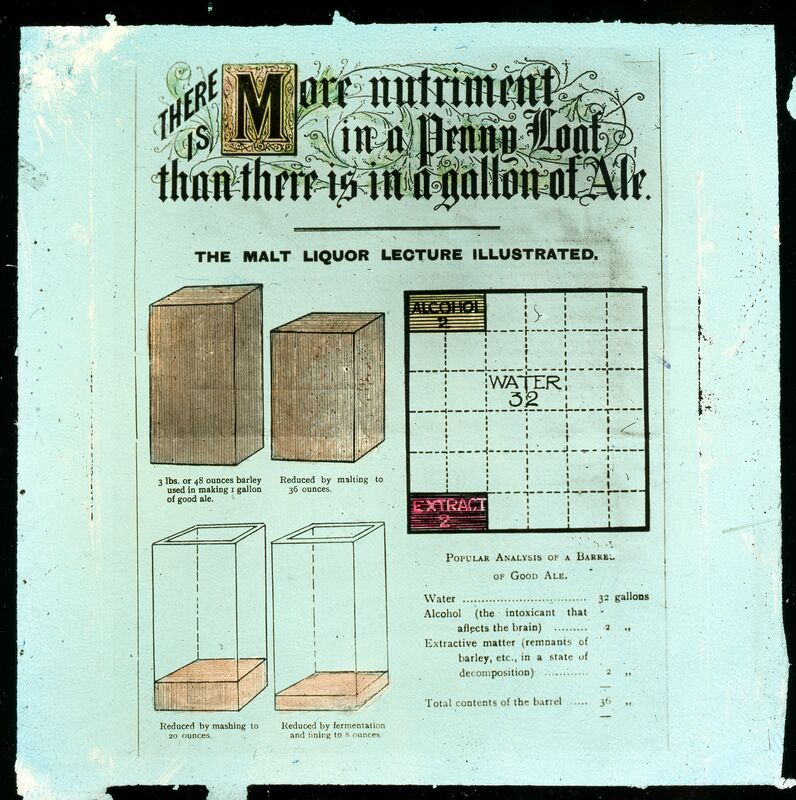 Alcohol (the intoxicant that affects the brain)... 2 "
Extractive matter (remnants of barley, etc., in a state of decomposition)... 2"
Totoal contents of the barrel... 36"